Antonov design bureau, Ukrainian aircraft manufacturing and services company and part of the state-run Ukroboronprom Concern, has signed contracts for production of 43 aircraft, Ukroboronprom CEO Roman Romanov has told the reporters. "Today, I can tell you that we are talking about 43 aircraft for our partners, not mentioning the contracts, which had been signed before, especially with Saudi Arabia," he said. However, Romanov did not reveal the details of the contracts and other signatories. "We are talking about at least 43 aircraft and three client-states," he said. 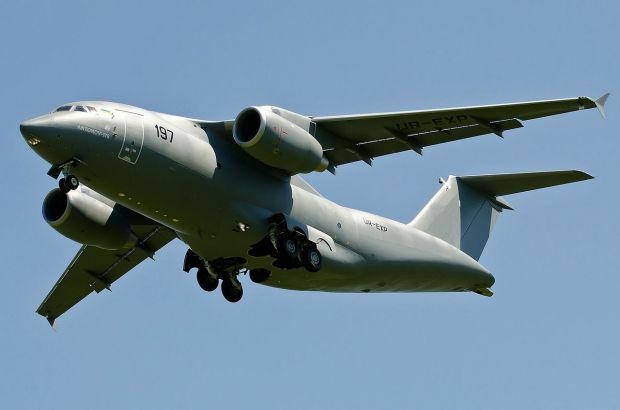 "At the same time, according to the terms of the contract, Antonov has received orders for the production of AN-178, AN-158, and AN-74," Romanov said. In turn, President and General Designer of the state-owned Antonov aircraft design bureau Mykhailo Hvozdiev said that the company is ready to produce about 24 aircraft annually that would allow performing the contracts within a few years.